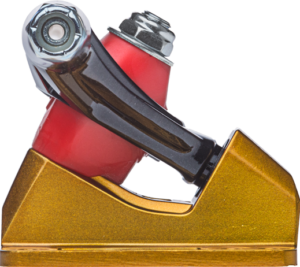 For optimal traction, power, and control, we usually suggest a 30-degree truck at the tail and a 45-degree truck at the nose, with stiffer bushings at the tail than at the nose. Use two 45-degree trucks on symmetrical (twin-tip) freeride decks. 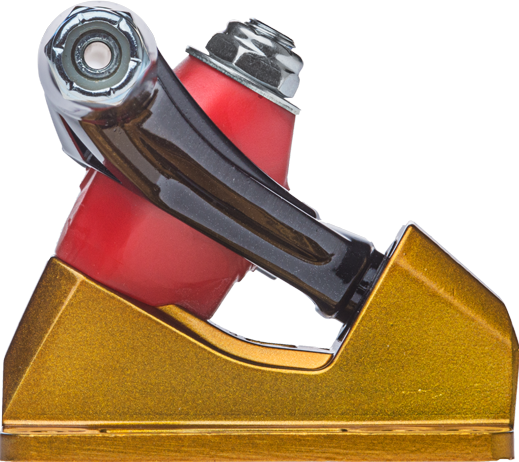 Use stiffer bushings if you’re heavier and/or taller than average, softer bushings if you’re lighter and/or less tall. in behind and holding such a tight response.